Yowcha have been recording Radio Commercials and Jingles for over 30 years. 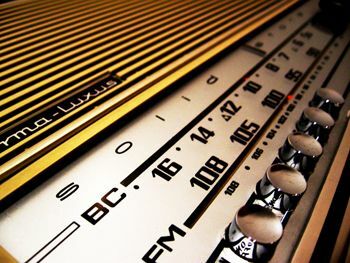 Now, we can offer radio commercials from just 30 euros each! Being in the Radio Business for many years’, there is nothing out there that can give you the same results apart from expensive TV advertising. Radio advertising is cost effective and beats local newspapers and magazine advertising hands-down… It costs less, and it works better – Proven! If you are a business that has been thinking of advertising on your local radio station, or you already advertise, then get your prices for your commercial recording first, then contact Yowcha! and you will see the difference in price AND quality of the voices and recordings! We only use first class, seasoned voiceover artists that will make mind-blowing adverts for your promotions. Our showreel is in the making, so keep looking here on our website or Facebook page for the MP3 showreel and you will be amazed! We can have your production to you the next day, and sometimes even the same day… anywhere in the world! Cut out the middle men, reduce your advert recording costs, improve the sound of the voices with our fantastic voiceover artists, and improve the quality of the whole recording with our digital recording studio, and ask us for a quote for your Radio Commercial. Don’t settle for anything less than our professional advert productions. A Worldwide Advert production is as easy as 123. If you need 2 voices for your advert or any other special requirements, please contact us for more details. We can do character voices, comedy adverts, we can even sing your advert. So whether a TV advert or Radio Commercial, or even that eBook or Corporate narration, Yowcha has got to be the best choice! Enquire about getting a radio commercial done by Yowcha! Fill in your details of what you require and Yowcha will return a quotation for your quality recording. Radio adverts are normally 30 seconds long, please ensure you include how long the advert should be, how many voices, male or female, or both, whether you require us to script-write for you, do you require music? If so, the background music track required. Please do not forget to add your contact details!